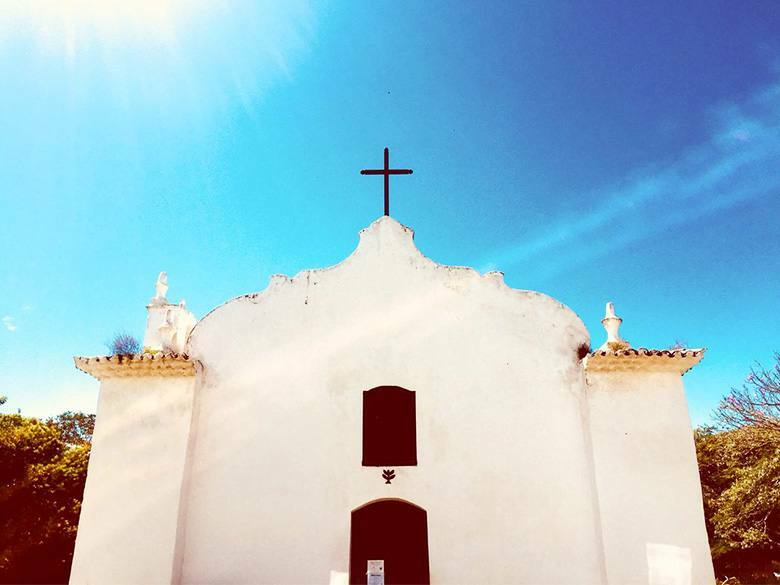 Located 600 meters from the most, Charming Market Square on the planet “Quadrado”, member of the traditional Roteiros de Charme (Charm itinerary) Association. The Inn offers a very welcoming environment, integrated with nature, respecting strict environmental standards. Ideal for those looking forward to comfort and sophistication. The focus on the services and attendance quality provides a unique lodging experience. 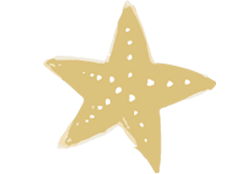 Located at Nativos Beach, a golden seashore bathed by an emerald ocean, surrounded by a beautful and bountiful green scenery, which makes Estrela D'Água Inn, an ideal retreat for those looking forward to comfort and peacefulness on a barefoot luxury Inn. We offer 28 charming accommodations divided into six different categories all immersed in the lush vegetation of the region: Master Suite, Solarium Suite (check availability for the ofurô tub). Master Bungalow, Trancoso, Estrela, and the exclusive 200 sqm Costa Bungalow, with an ocean view from its balcony and a private hot tub. The Inn’s staff is prepared to meet any sort of guest's request and offer tips for different activities to those who enjoy adventure such as diving classes, kayaking either going on a boat trip, stand up paddling, biking or AVT rides, to enjoy as much as you can, the many experiences the southern Bahia has to offer. 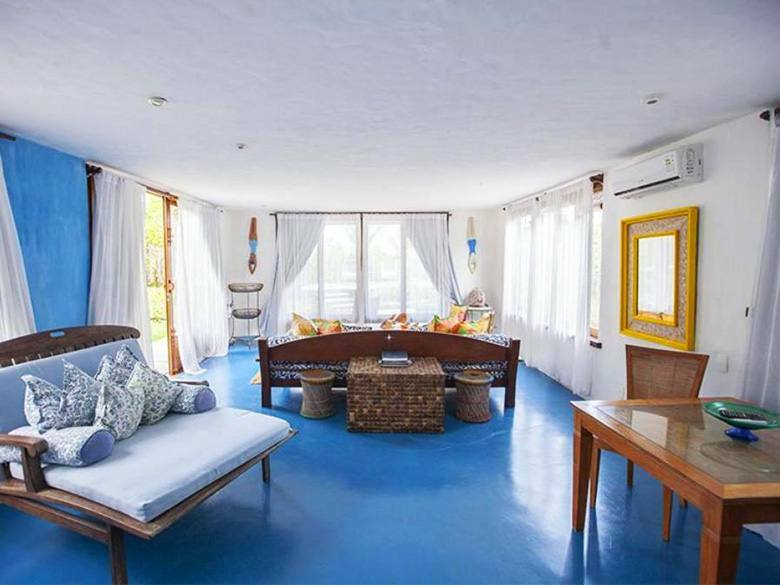 The rustic-chic design style suits the lush landscape of Trancoso. Live this unique experience at Estrela D'Água Inn. Our Suites are especially welcoming, rustic tropical colours, in perfect harmony with the environment. All Suites are charm fully furnished and offer a fresh balcony with hammocks for resting, so that your stay will be absolutely relaxing and peaceful. Besides the privileged beachfront location, The Inn is prepared to provide a lot of fun and relaxation for those who stay with us. There are 2 swimming pools (1 with hydro massage), a SPA, a cosy TV room, game room, hammock garden, Jo de Mer & Richards’ Boutique, fitness studio and much more! Enjoy unforgettable experiences such as biking through the Atlantic Forest, helicopter, boat or horseback rides to Pataxós’ Indigenous Reserve, bird and whales watching, mangrove kayaking, diving and many other optional attractions. 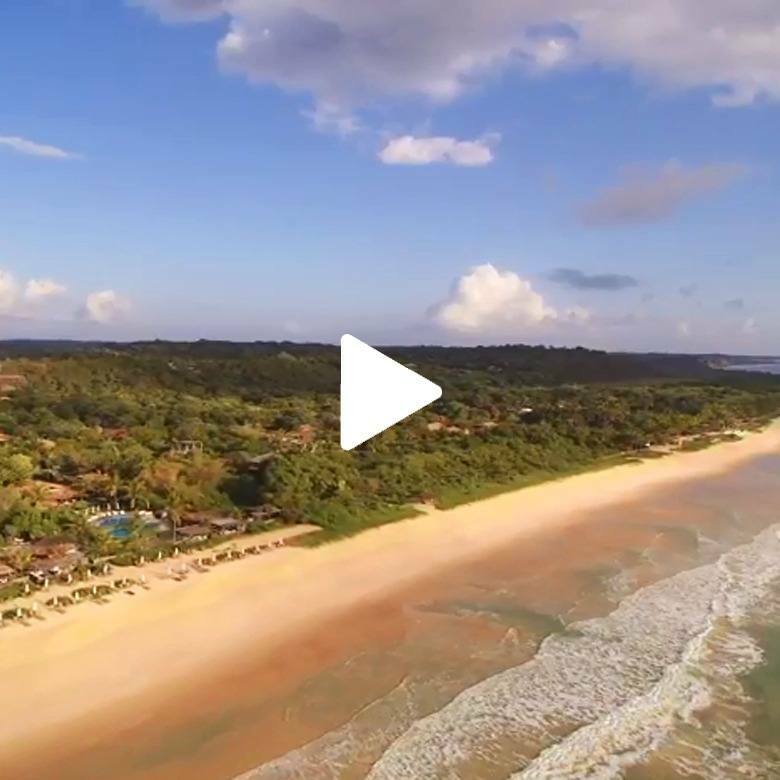 Trancoso and its surroundings are truly paradisiacal. The famous, ‘’Quadrado’’ now listed as a Unesco’s World Heritage, surrounded by its colourful houses and the small Church of St. John the Baptist, is the centre and the main Market Square. The stunning view of the seashore bathed by the Atlantic Ocean, bordered by streams and coconut palms to lose sight of, is breath-taking. 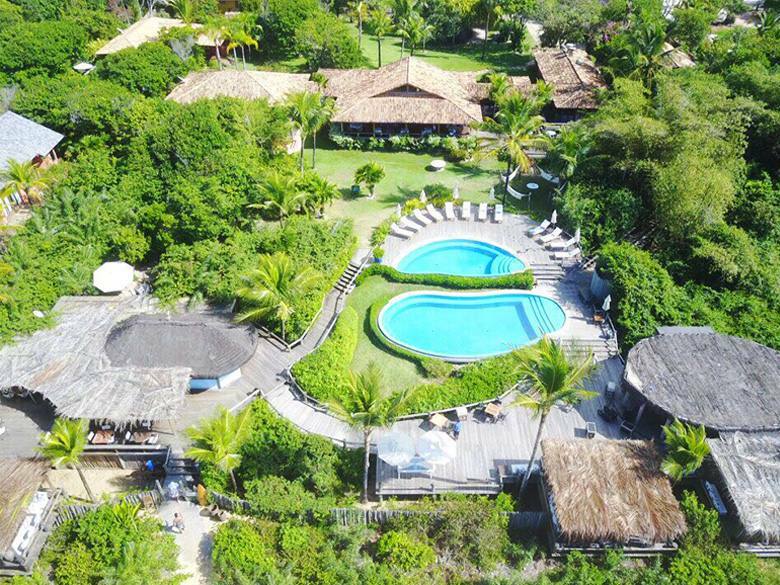 The former village houses, welcome famous designer and handicraft shops, restaurants and bars, which live up to a trendy social life full the charm of Trancoso. A Pet-friendly Inn. We allow small Pets. Learn more with our booking agents. Guests and visitors can enjoy true delicacies in our restaurants, located at Inn’s main house. The Aldeia São João & Bar da Costa, facing the pools, beachfront, offer a menu carefully crafted, blending both local and international artisan cuisine, with a peculiar modern touch from Bahia. 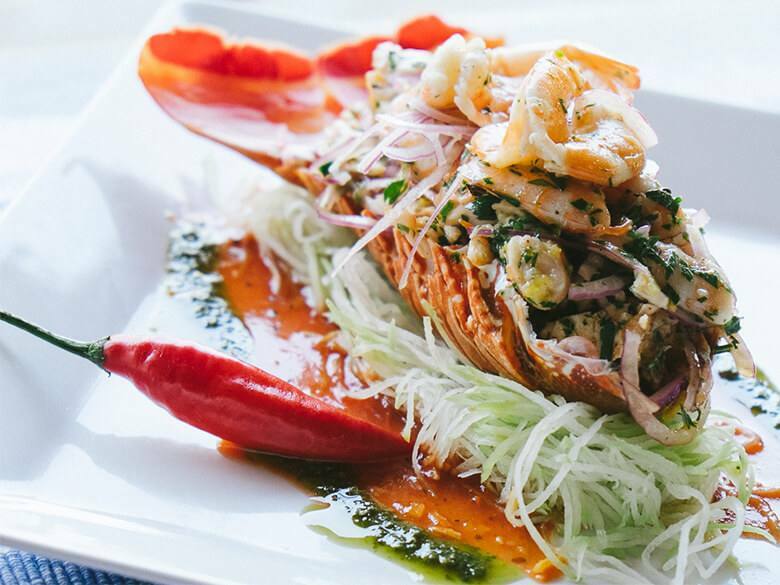 The Sushi Estrela is the only sushi bar beachfront in Trancoso and it offers the best of traditional Japanese cuisine. The stunning sunset, suggests either to enjoy a careful selection of good drinks and wines or sit sipping our famous Caipirinha cocktails on the Bar & Restaurants' deck. 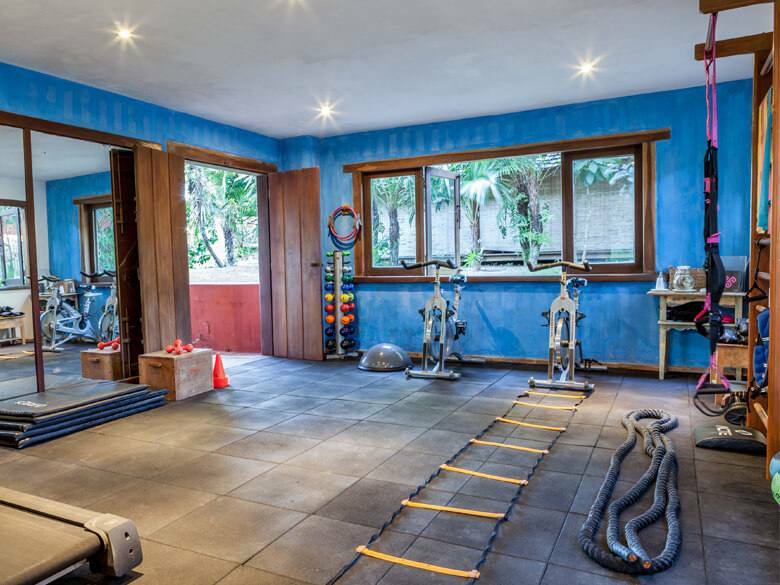 Located at Inn’s main house, the Fitness Studio is signed by our beloved professional coach of health and wellness, Cau Saad and It offers equipment for basic training during the stay.